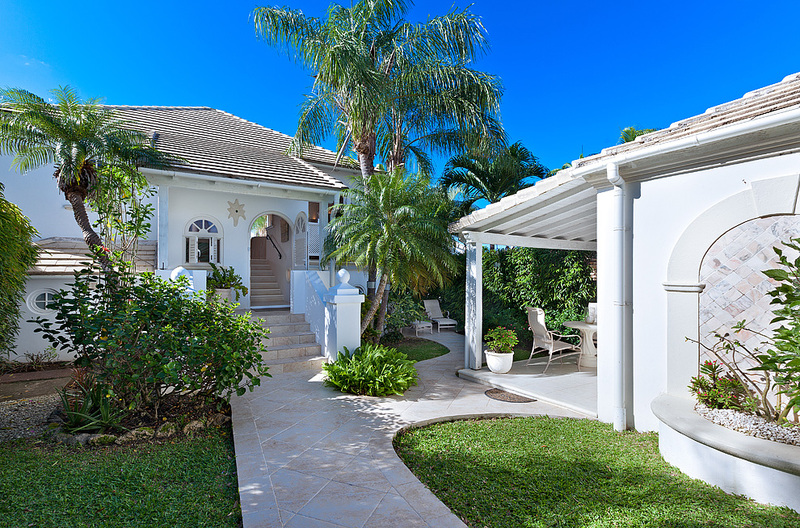 Located within the quaint neighborhood of Forest Hills, Royal Westmoreland Resort, commanding breathtaking views, is the Deluxe Club Villa – Fairways. This 3 bedroom, 3 bathroom property is complete with a private guest cottage and has enjoyed a fantastic rental return. Ideal as either a personal home or investment property, Fairways is sure to impress. Its situation within Royal Westmoreland Resort offers optional membership access to world-class amenities such as the 18-Hole Championship Golf Course, Flood-lit Tennis Courts, Fitness Centre, Sanctuary and beach membership at Mullins or Fairmont Beach. The resort is fully enclosed with 24 hour security and each neighborhood boasts its own communal pool. This immaculate property is currently available for sale for USD$1,050,000, inclusive of a Hyundai Tucson and Clubman Golf Cart. Give us a call for inquiries or to view this beautiful property!